Anybody remember when we covered JAILL back in the beginning of September? If not, follow that link in the last sentence so you can fill yourself in. Since that post, I’ve been on the lookout for a copy of their first LP from Burger Records, and I finally got the chance to snag a used copy on eBay a few weeks ago. I just found the record in my mail yesterday and promptly threw it on the record player. To my surprise, I was absolutely floored. It’s because of this record here that Jaill had the opportunity to release “That’s How We Burn” on Sub Pop, and now it all makes sense. They put down 12 different songs (plus a bonus track) for this record, each combining a completely lethal dose of your favorite elements from pop, punk, garage, and psychedelic, and DAMN does it work well. They even manage to work in their subtle references to pot/ being stoned here and there like they did on the other LP. I must warn you though prior to listening, because this stuff is highly addicting. Every last track could be looked at as a highlight in its own way, and with all songs going barely past the three-minute mark, there’s no doubt you’ll be putting this thing on repeat for days. Which is exactly why this is the next installment to our new “Still Spinnin” feature! 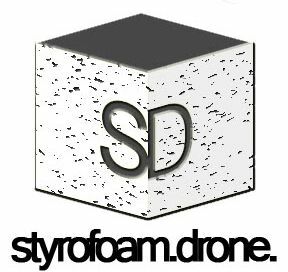 Basically the idea here is to keep you guys up to date with what we like most here at the Drone, whether it just came out yesterday or if it’s been out for thirty years. You should expect to see a more detailed post about this in the near future, so stay tuned. And that’s where I’m gonna leave you guys for today. Check out this batch of songs from the LP right below and let the infatuation begin. You can still grab a copy of the LP with that link below, but don’t sleep on it for too long. See you guys tomorrow. BUY the album directly from Insound – Limited to 1000 ! Posted on November 18, 2010 November 28, 2010 by styrofoamdronePosted in LP, Reviews, Still Spinnin'Tagged indie rock, pop, psychedelic. bless you for sharing this. i wasn’t aware of this record and i loved ‘that’s how we burn’ so much…it’s great to get to hear more tunes from them . grabbing my copy now! my pleasure! I figured it would be totally necessary to give this record some love. you can buy them straight from the source too! http://www.burgerrecords.com BOO YAH! thanks for writing this, we love JAILL! i ordered my copy yesterday! put it in the mail already! haha. oh wait, i think i ordered it from the band’s website. oops, sorry 😉 if it’s any consolation, i live in LA and i promise to visit your store soon for some goodies. thanks! yes yes yes yes yes yes YES! JAILL is the best! These tracks sound amazing!